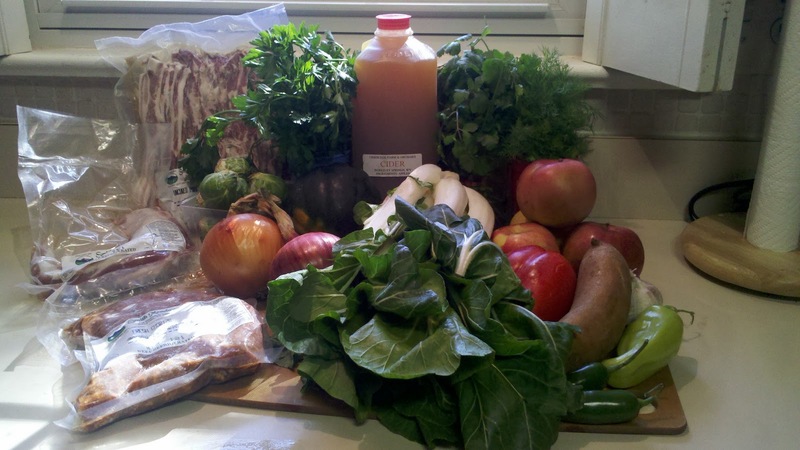 Rooted Practice: Market Menu Monday Returns! I'm thinking that this is going to be a pretty foodie-centric week on the blog, since last week was pretty yoga-heavy AND I've got several recipes I've been hoping to post. Now that marching band is over, I'm hoping to have some free time to actually get them up! 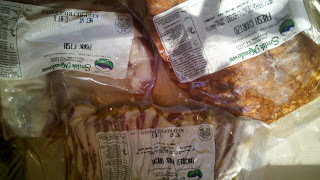 I went to the Farmer's Market on Sunday. Sadly enough, only one vendor had pie pumpkins available--and those cost $3.50 for a teeny little pumpkin. I ended up getting another one (number 9 of the season, I think) at Safeway later on. Assorted pork products (more on that later), parsley, cilantro, dill, yellow onion, red onion, brussels sprouts, acorn squash, bok choy, apples, red pepper, sweet potato, banana pepper, jalapenos. Thursday: TBD... home made pizza is always an option around here! Friday: Fend - it's Yoga Book Club Night! I hope everyone has a fantastic (and delicious!) week!